Ghost Recon Advanced Warfighter 2 (GRAW2) is hot. Ubisoft has wasted new time firing another round of Ghost Recon action at gamers. 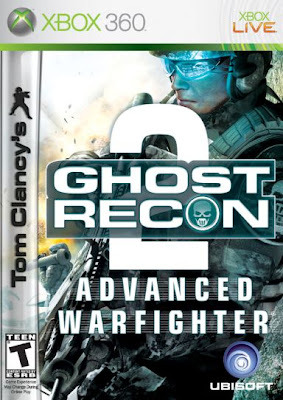 The first Ghost Recon next-generation game was more than a success and helped push the series forward, and moved the franchise up on par with Ubisofts other hit Tom Clancy games like Rainbow Six, and Splinter Cell. It could be argued that Ghost Recon is now Ubisofts #1. I guess that depends on the sales because from a gaming standpoint, GRAW2 is an improvement on an already awesome foundation of a game. The plot line revisits Mexico and its continued rebellious state against the United States. As Ghost solders the American government has placed you in behind enemy lines to siphon the madness. There is no time for a shot of tequila, as caption Scott Mitchell you suit up and become an invisible killing machine, a ghost. Along with your teammates and any additional support you gain during your mission, you traversing the hostile enemy territory you search out enemy camps, hidden missiles, and rescue downed solders, amongst other impossible feats. The ghost team faces a number of grave settings in this war torn theme that post more of a challenge then before. From urban streets, to the close quarters of building debris, to desolated desert locations, the ghost have no option for failure and you have to be relentless against the hostile forces. The theme is similar to the first edition of a hostile nation fighting within and against its borders. Advanced Warfighter 2 becomes another dark and gritty setting that keeps the death count rising, with blood on your hands and job to do. 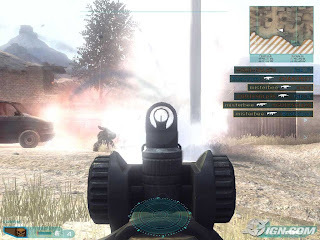 GRAW2 is more intense then ever with a slightly (not greatly) improved A.I., a number of tricky situations, better enemy placement and a more diverse and tactical resistance. Even with GRAW2 amped up, it strange that I never felt a huge challenge while playing the game in normal, so that had to be rectified. After defeating the first level in normal, I decided to go back and start the game over in hard which made the experience more balanced. The enemy is basically the same assorted rebels that you had in the first Ghost Recon except this time their numbers are more, their eyes are a little sharper and they have access to more heavy armor. For gamers who have played through the first Advanced Warfighter game, I suggest you give the hard mode a try right off the get go, and then move down if it’s too challenging. Like the original Advanced Warfighter you will have solo and team missions set along with a few vehicle based sequences that are actively spaced between each other. Each aspect of the action is appealing, although controlling a team seems to be more explosive and endearing. I felt the vehicle missions where approved upon, but they still feel a little out of place along side the urban based squad combat. I wouldn’t take them out because they are oddly satisfying, but it is a little much for the series. 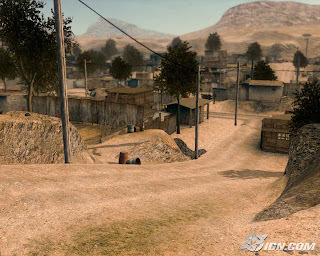 I don’t want to see GRAW turn into a modern version of Call of Duty. Controlling extra vehicles and your teammates is still a hassle that turns into a small bit of micro management frustration. This really can’t be avoided and Ubisoft made on necessary adjustment that improves this situation greatly. By pressing the [rb] right bumper you can now get a full screen video feed of any asset on that battlefield. This means you can send a team of Ghosts to another section of the map and control them in first person. It doesn’t grant you full control, but it gives more options along with a better sit rep on your team. This follows through will all the vehicles in the game including friendly tanks. Until they can somehow lessen the burden of control on the gamer, this is a huge step forward for the Ghost Recon series. What the new perspective and control also does is make the Cypher actually useable, and fun to navigate in a top down view. GRAW2 also hosts the new inclusion of a remote controlled scout vehicle called a Mule. The mule is mainly used to re-supply ground troops along with providing medical services. The Mule looks like a compact lunar rover with armor. The Mule controls the same as a solder in the game, so it’s easy to point the drone around and keep track of this little guy. Even though the Mule is useful, it seems like an unnecessary addition to the player’s bag of tricks. I hardly used the Mule, only for its required use of grabbing a specific weapon. This could be directly related to the difficulty level as well, it’s not the Mules fault I have a full gun of ammo and a spotless health bar. If I had to make a complaint about GRAW2 it would be that the game feels like it’s over once you get the ball rolling. The single player campaign is packed full of action over a number of settings, but its over all too fast. I would have liked them to expand some of the areas over a few more minutes of action to get more life out of the game, and some areas the cemetery in level 2 was so eerie and impressive that I didn’t want it to end, and two minutes later, it was over. What saves GRAW2 from its short average six hour single player section is the bountiful multiplayer game that is still jacked up, along with some co-op action that can keep you busy. It’s understandable once you boot up live and share in the multiplayer experience why Ghost Recon is still one of the most played games on Xbox Live. GRAW is simply well put together and fun. 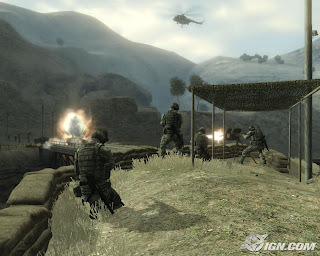 Like Sony’s Socom series, Ghost Recon has everything from clan based team games, to single player frag fests with up to 16 players in a room. The co-op game is equally a lot of fun and challenging. Getting a group to work as a team can be a drawn out experience on Xbox Live, but once you get a good team going the joy starts. You really can’t dispute the quality of the multiplayer and now the visuals have even leaked over online, GRAW2 should be unstoppable for the majority of 2007. Info: Tool is able to extract and create bundle files. Enjoy ;) Some people can ask: "Repacked .bundle files gets smaller, why?" thats because I have optimized saving algorithm and after repack there are no empty space between files in .bundle container. Cool man, you doing well! extraction of BCR & BC .bundle confirmed. thanks.